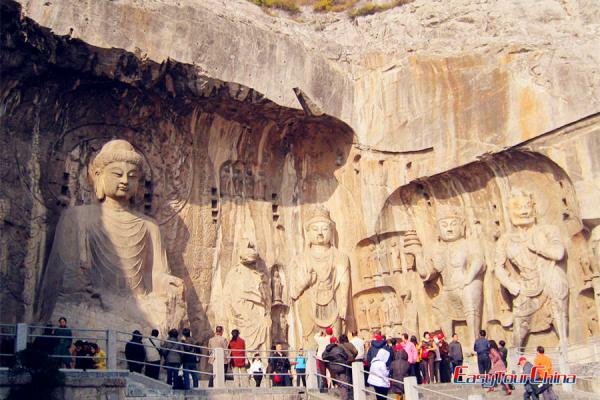 A world heritage site named in 2000, the sculptures of the Longmen Grottoes are an outstanding manifestation of human artistic creativity. 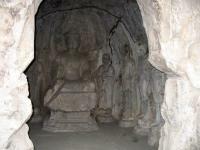 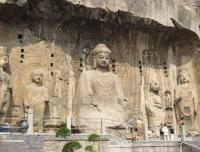 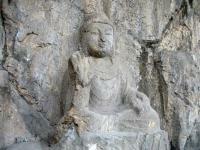 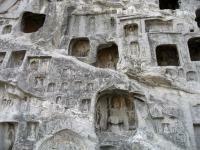 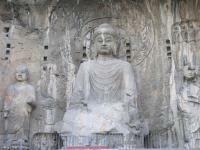 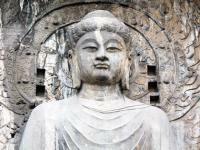 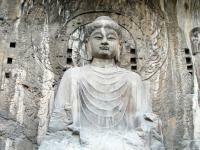 The Longmen Grottoes illustrate the perfection of a long-established art form, which was to play a highly significant role in the cultural evolution of this region of Asia. 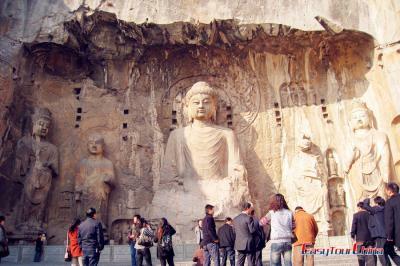 Located along the banks on Yihe River in Luoyang, Henan Province, the Longmen Grottoes are important cultural relics under state protection. 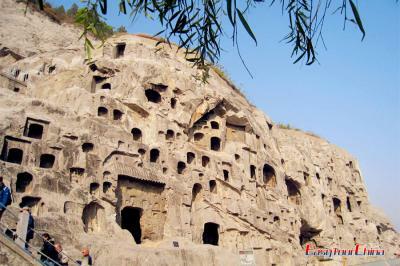 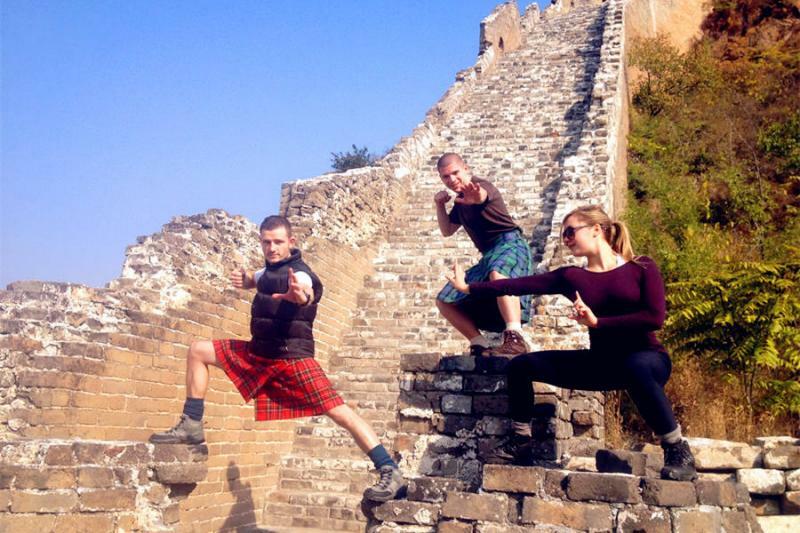 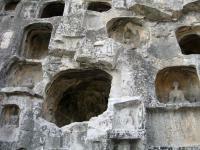 Along the cliffs, there are more than 2100 niches, 2,800 inscribed stone tablets. 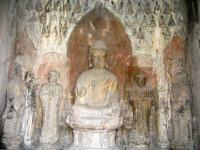 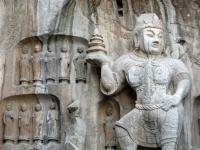 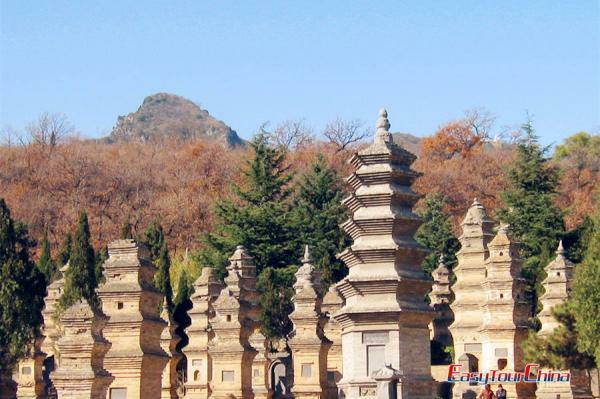 Buddhist pagodas and nearly 110,000 Buddhist images and statues still exist today. 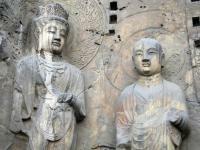 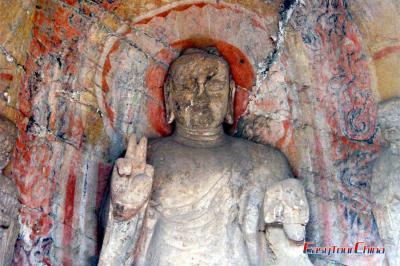 The high cultural level and sophisticated society of Tang Dynasty China is encapsulated in the exceptional stone carvings of the Longmen Grottoes. 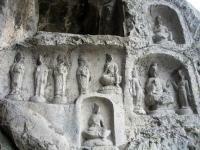 The grottoes and niches of Longmen contain the largest and most impressive collection of Chinese art of the late Northern Wei and Tang Dynasties (316- 907). 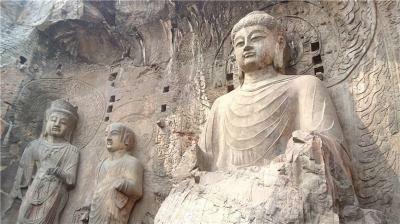 These works, entirely devoted to the Buddhist religion, represent the high point of Chinese stone carving.